What Agile/Scrum Books Do I Recommend? While Agile Faculty is the only book that directly adapts Agile and Scrum Practices for higher education contexts, many available books can serve as excellent resources if you are interested in learning more about the Agile philosophy and Scrum practices. Here are a few I recommend checking out. Scru m: A Breathtakingly Brief and Agile Introduction, is the perfect overview of the Scrum process as understood in software development, written by people interested in seeing Scrum expand into other industries. 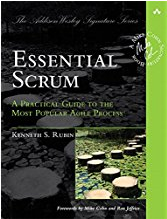 Ken Rubin provides a detailed overview of the entire Scrum process in Essential Scrum: A Practical Guide to the Most Popular Agile Process. While the book is definitely targeted at people with int he tech industry, I found his visuals about the process to be very informative. 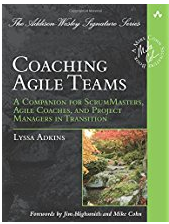 Lyssa Adkins is the Agile coaching guru. Coaching Agile Teams is part Scrum, part executive coach training, and part spirit guide for Scrum coaches. As an educator, the guide resonated for me on several levels, and I’ve integrated Adkins’ advice into my approach to all my faculty work. In Scrum: The Art of Doing Twice the Work in Half the Time, Scrum co-creator Jeff Sutherland shares his philosophy and showcases how Scrum is being used in software and beyond. 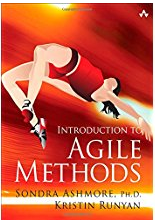 Introduction to Agile Methods, by Sondra Ashmore and Kristin Runyon, is a textbook primarily for computing science and engineering students, but it’s a good overview of Agile more broadly and a good introduction to the entire software development process. Previous Previous post: What Agile Accounts Do I Follow on Social Media? Next Next post: What Are the Scrum Roles Again?